Rudraksha has fascinated people across the world due to its mystical properties. It is amazing that a seed of a fruit grown on trees has gone on to receive so much attention and created so much interest worldwide. Apart from Hindu religious saints, its users and worshippers vary from artisans, housewives, academicians to businessmen. Rudraksha has crossed the created boundaries of religion and nationalities. Rudraksha is known and has been in use from time immemorial. Its origins are traced to Lord Shiva, one of the Trinities of the Hindu religions. From ancient times, Shiva’s images and idols are shown wearing these beads. A lot of mysteries are associated with rudraksha, which is not uncommon in the case of such rare and naturally occurring products. If one evaluates amber, agar, shwetark, shaligram, gorochan, or other similar products there is mysticism surrounding all these. Primarily rudraksha is a symbol of spirituality. It is worn singly or in multiples in the form of malas (rosary). When sadhus wear them, they believe to have attained special powers and it is almost like a trademark for devotees of God. Many people wear rudraksha for its good omen, maybe as a talisman or just for good health. There are others who wear it as an ornament without knowing its virtues. During the British rule of India, gold ornaments embedded with rudraksha used to be exported to England where these ornaments were said to be favourites of British women, including members of the royalty. This potential of rudraksha exists even today. Rudraksha did not get wide publicity or acceptance on scientific basis, as having healing properties or mystical powers. This is not surprising, because many of the items of traditional and cultural importance to one specific religion (in this case for Hindus) becomes a matter of faith and even superstition. 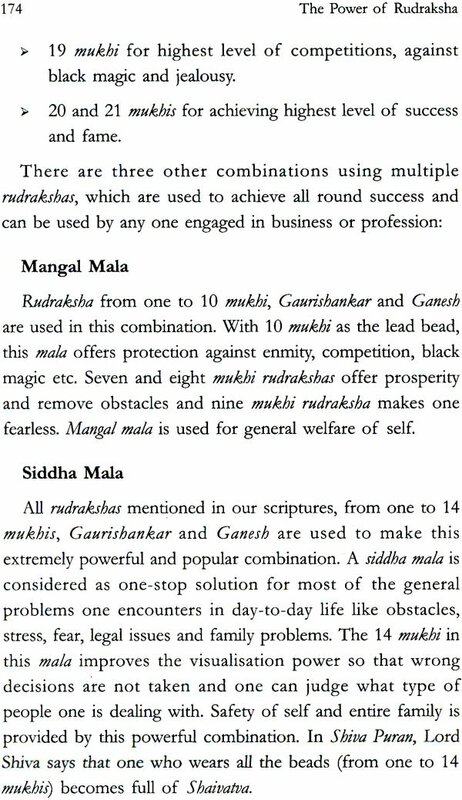 Another reason could be the diversity of opinions on the benefits of rudraksha usage and differences of opinion on its efficacy. There have been no research or organized studies carried out on this bead, either for assessing its medicinal or healing properties and also its para-psychic or divine effects. Although as Elaeocarpus species, these trees are found across the globe, its spiritual significance is of interest only to those who believe in its divine aspects. Since the beads are identified more as a Hindu religious symbol it did not attract special attention of the Western commercial world. 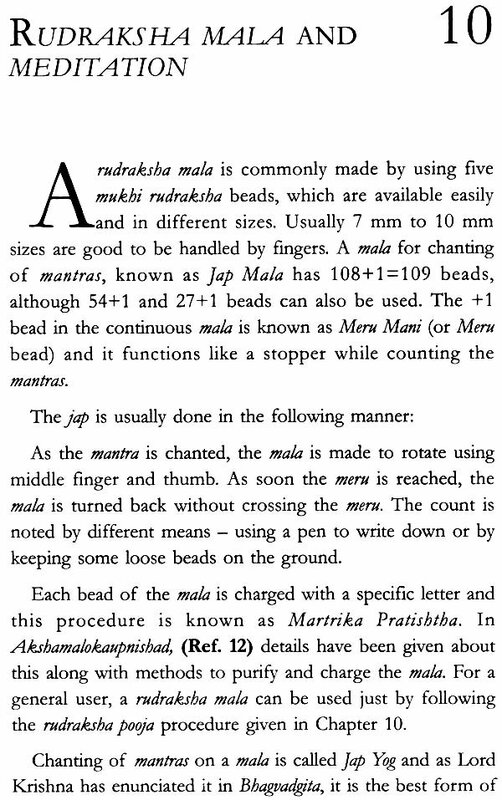 The purpose of writing this book is to create an interest in the fertile minds of the people to look at these beads in an objective and dispassionate manner so that proper research can be carried out to unfold the mysteries surrounding them and come out with correct practices and usages for the beads as well as the other parts of the rudraksha tree. Apart from the bead, the outer skin of the fruit and leaves and bark of the tree can be used in making useful herbal products. There is also a possibility to study the properties of seeds belonging to different species of Elaeocarpus. I had come across people who had mentioned several benefits from the use of rudraksha. I had also read about the bead and its efficacy in various publications and Ayurvedic references. The benefits ranged from achieving material successes to overcoming physical ailments or attaining calmness of mind. Many times, these experiences could be just coincidental, yet because of the vast number of people conclusively asserting their views in favour of its good effects, I was motivated to continue with the studies. The non-clinical tests conducted during the period, Feb 2005 till August 2007 at the Department of Pharmacology, University of Mumbai, on rudraksha and its benefits look quite promising. The summary of the findings of the texts is being published for the first time in this book. I strongly believe this bead is worth much more than what is generally perceived. It could possess curative properties for many diseases that affect humans, for example, the unprecedented exposure of body cells to electro-magnetic waves created by cell phones, the electronic gadgets and processes or the changing lifestyles in terms of food, work schedules and stress. It can offer a protective shield to the human body. As such, there is a need for studying this product with dedication, devotion, confidence and patience to exploit its full potential. 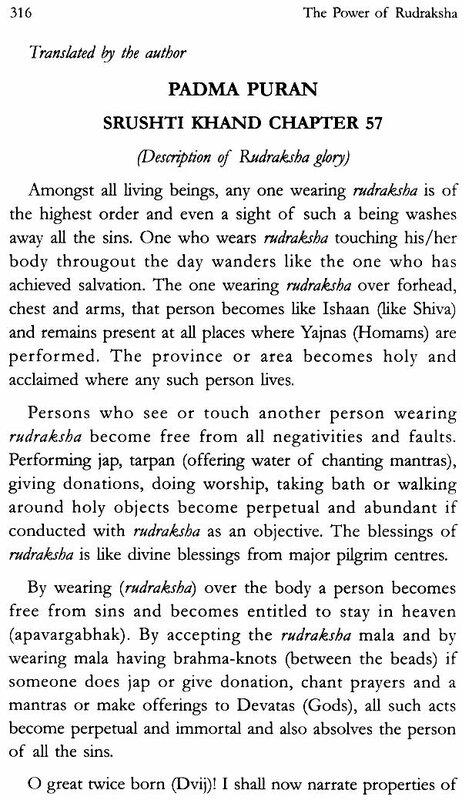 There is another aspect to wearing rudraksha, which relates to its use as an ornament. Traditionally, wearing a necklace is the most common form of body decoration for the humans. Necklaces are most often embedded with beads made of precious metals, gemstones, bones, shells and several other natural and synthetic materials. To me, in all these stones and other materials – including pearls and diamonds, gold or platinum – there is nothing on this planet that matches rudraksha in its natural wild beauty, full of energy and usefulness both for body and mind. 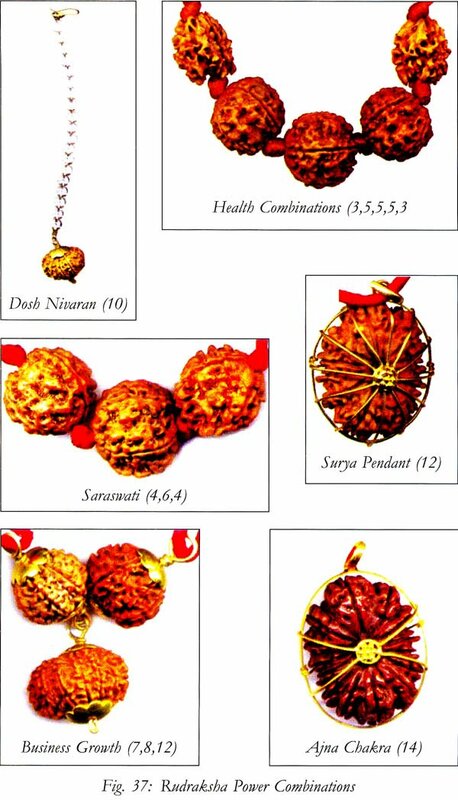 Rudraksha is a true bio-jewellery, beautiful and power-packed. Its aura and glow, whether you see them during day or night, are divine, impressive and mesmerizing. 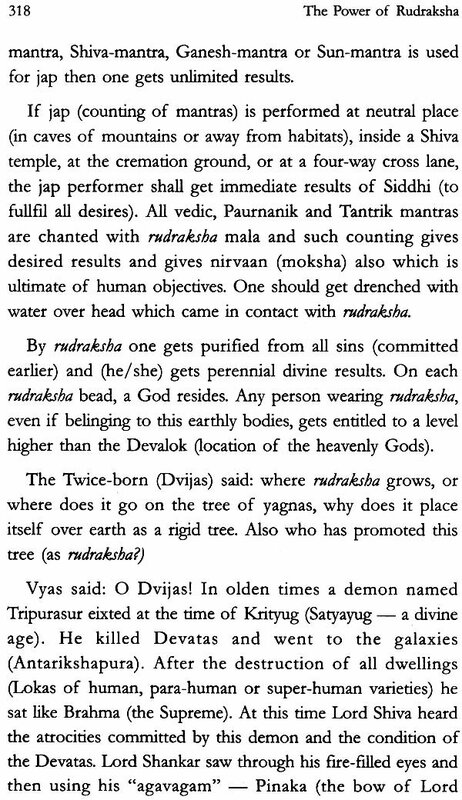 As I have mentioned earlier, Hindu scriptures associate rudraksha with Lord Shiva, the greatest among the Hindu Gods he is known as Mahadev and its is believed that rudraksha trees originated from his tears. In Sanskrit, Rudraksha means Lord Shiva and aksha means eyes. Many believe and as scriptures declare, the blessings of Lord Shiva should be sought to get the maximum benefits from these beads. 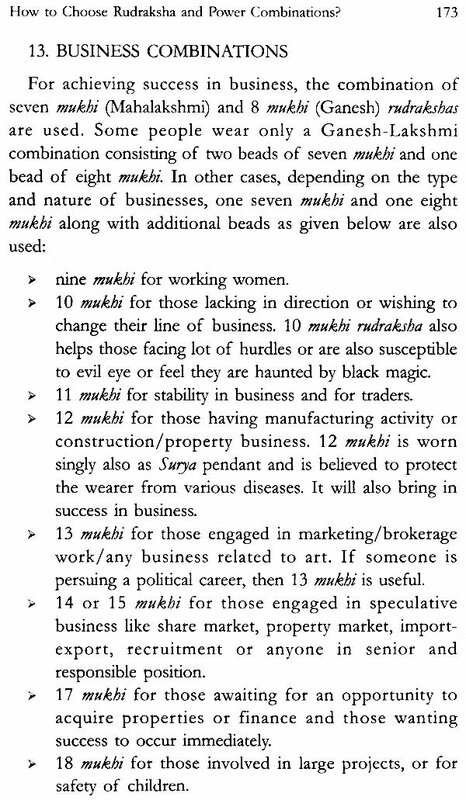 Had this book been written considering rudraksha merely as a product and without referring to its spiritual significance, I would not have done justice to these beads. For generations, the mere utterance of the word rudraksha creates emotions and vibrations touching the soul and being you closer to God. 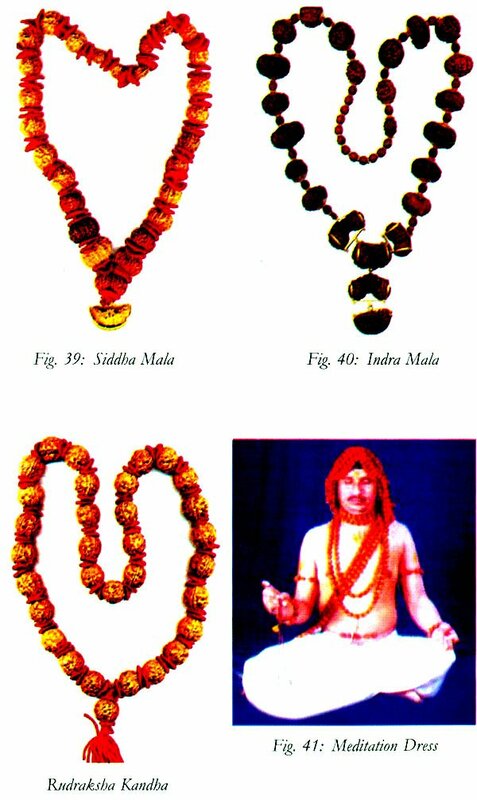 The most important basic property of these beads as per experience and also expectation is to make a person fearless. 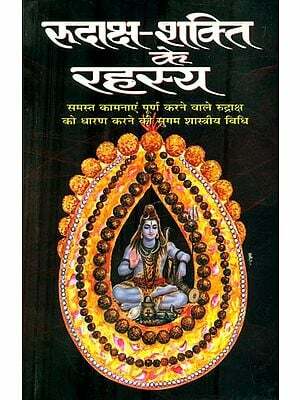 Shakti (Goddess of power) unites with Lord Shiva to provide this basic property of rudraksha. Each and every property of such divine products cannot be easily explained scientifically. There are several approaches to understand the power of rudraksha, the most appealing is its adoption by Lord Shiva as an ornament. He uses ornaments having symbols of power, which have serenity and beauty in their own sense. 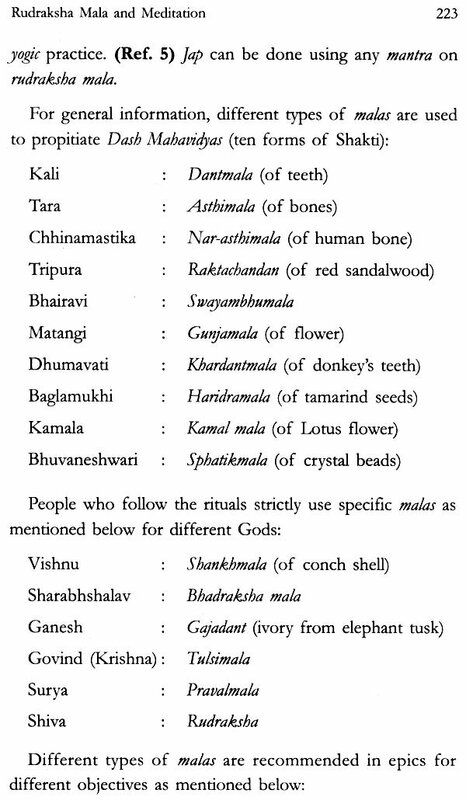 For example, he wraps snakes around His neck and arms, uses the intoxicating flowers of dhatura and wears tiger’s skin to cover His body. He applies ash (bhasm) from cremation ground on His body. Further, there is Moon over His head, river Ganges flowing from His locks of hairs and He holds the damru, a musical instrument. The Moon and Ganges are known for their vastness and might, while the damru is considered as the creator of Sanskrit language by unifying the sounds of 14 Pratyahars. Twelve jyotirlingas, representing His divine light forms, are situated in the most scenic locations in India, in difficult terrains but in magnificent natural surroundings. His permanent abode is in Mount Kailash in the Himalayas, which can impress any mortal in any way he/she would like to look at it. No other God could match His unique ways. Temples dedicated to Him can be found in practically all villages and towns in India where He is worshipped either in the Linga (phallus) form, or as the dancing Nataraja or together with consort Parvati and members of His family – sons Lord Ganesh and Kartikeya, and his vehicle Nandi (a bull). In short, for the Indian believers anything that is unusually blissful, beautiful, powerful or indicating vastness and depth is usually associated with Lord Shiva. It may be death, destruction, annihilation, poison, inebriation, the unapproachable Himalayas, tantric practices or the highest form of yogas and tapasyas, music, dance, language or anything, which is mystical. Shiva is omnipotent and He exists in atoms and cosmos. He controls the cycle of birth and death. The more one tries to define and measure Him, the more dimensionless he becomes. He is responsible for creation of languages, art, dance, music, yoga, ayurveda and herbal medicines. By far, he is the most worshipped God in India and even finds mention in the inscriptions in many ancient temples in China, Japan and Indonesia. Since Lord Shiva is considered the creator of rudraksha, it becomes a symbol of spirituality, fearlessness and a source of power for health, peace and prosperity. 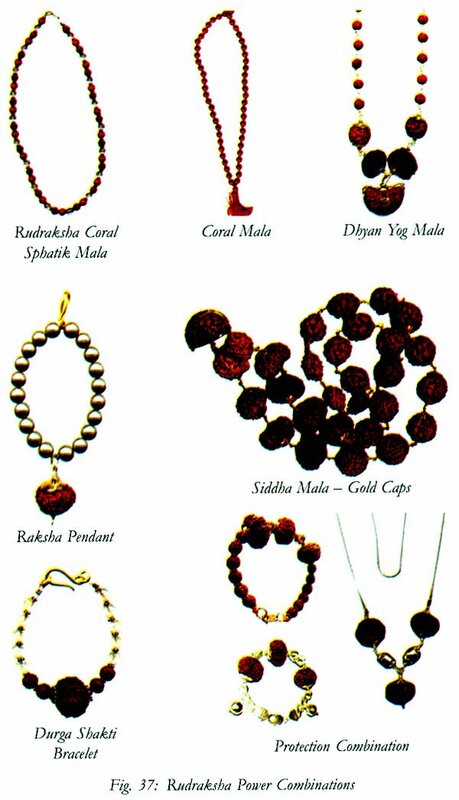 Most Hindu, Jain and Sikh homes in India have rudraksha either as loose beads or in rosary form. Unfortunately, even after having these beads for generations, hardly anyone seems to know their genuineness or the true value or how exactly they have to be used and in what numbers and how to maintain them. Usually, people who trade in these beads hide many facts and for commercial reasons do not share their views. 1. Absence of proper literature or published information. Most of the books or articles available in the market contain irrelevant information. There are books, one for example, titled “Secrets of Rudraksha”, which contains no relevant information on rudraksha but is full of details on worshipping methods and rituals associated with the bead. Some of these books have been written by traders and retailers of rudraksha and other puja items and information is presented in a manner best suited to their interests. 2. 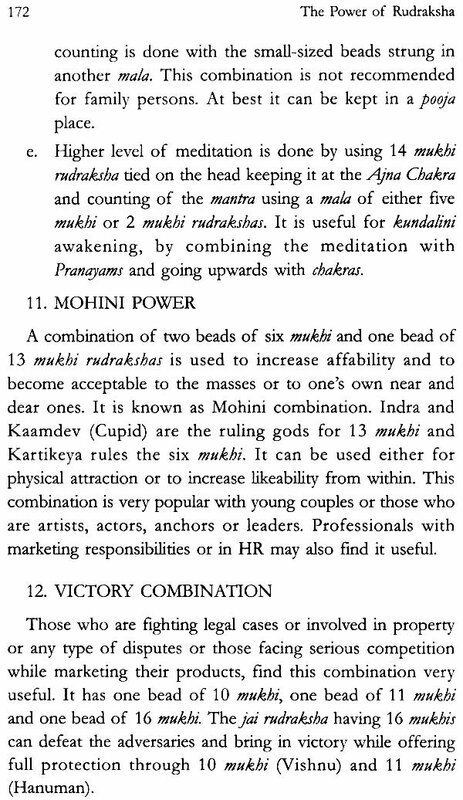 Several restrictions imposed by way of rituals and customs or ways to wear rudraksha. 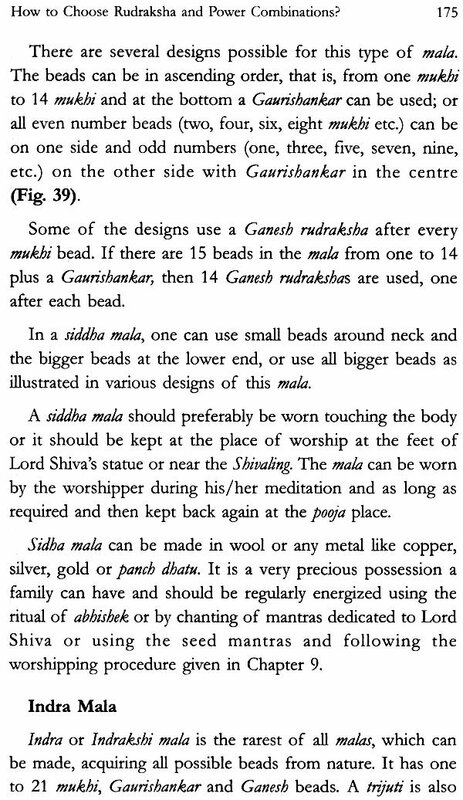 For example, in many families, women are forbidden from wearing rudraksha, while men can wear only one. In one of the religious sects, there is a practice of a person being allowed to wear a single rudraksha at a young age and every year knots are tied on the thread that holds the bead so that by the time the man reaches the age of 50, the bead virtually touches the throat. Some people (particularly priests from South India) encase it with silver or gold in box form and wear it around their neck in a chain. 3. Complex rituals and perceived negative effects. People in certain societies consider wearing rudraksha as a very complex ritual and are often discouraged to do so fearing negative effects, without any evidence. 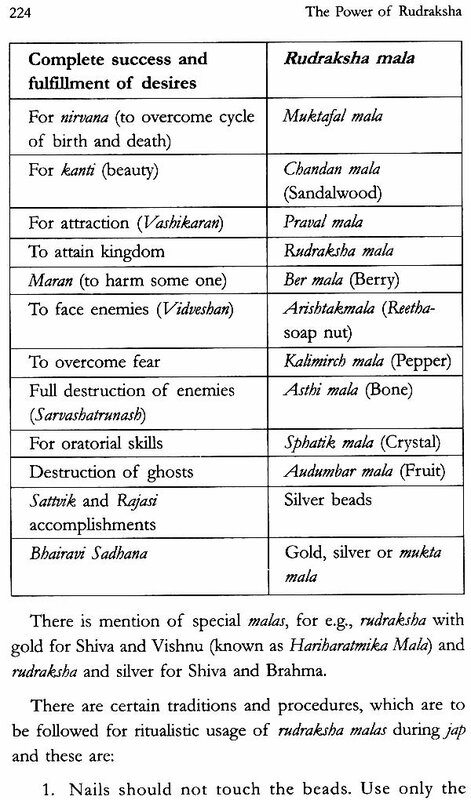 Some sects advise on the need for tantra sadhana to obtain the full benefits from rudraksha (for example, going to a crematorium at night and doing the suddhi of rudraksha). A Bollywood movie of 2004, titled “Rudraksha”, highlighted several untrue and unrealistic aspects about this bead and hypothetically created a new variety called Ravan Rudraksha, claiming t possess mysterious powers. Such instances only help increase ignorance and create superstition. 4. Inhibitions prescribed in scriptures. 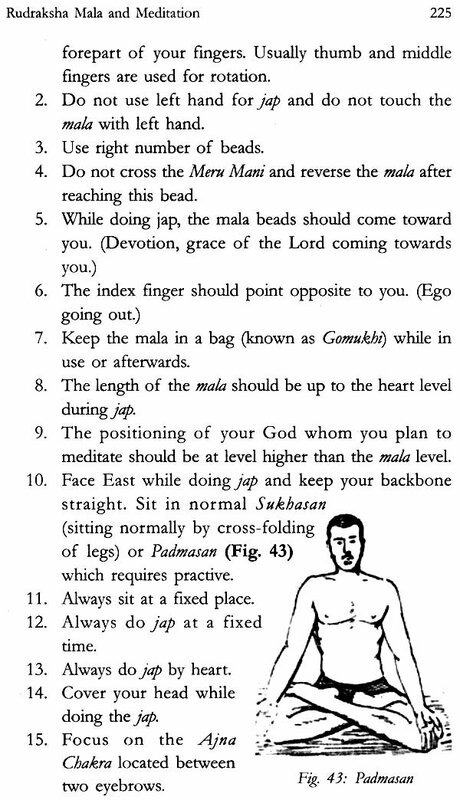 A few of the great scriptures, if one reads them carefully, give differing views, particularly on regimens like vegetarianism or abstinence from alcohol, as well as on the size of the beads, mantras to be chanted or the number of beads to be worn or the part of the body where they are to be worn. These restrictions have to be accepted in a constructive manner, instead of trying to read in between the lines, and in the true spirit of the history of the scriptures and their passing from generation to generation without any blatant control or religious intolerance. 5. Presence of a large number of fake beads in the market. Spurious beads in the market have shaken the confidence of people and this is one of the important reasons that inhibit its usage. Offering single-faceted (one mukhi) round beads in different handcrafted forms or crafting them from other seeds or carving additional lines on the beads have all become part of a roaring business for many. In these circumstances, there is an absolute need for joint efforts to popularize this bead and bring out its true qualities and benefits. In ancient India, as a result of the efforts of great rishis and other learned people, sciences like astrology, ayurveda, yoga, languages, music and dance have come to be evolved to great heights. There could be a good enough reason to assume that these ancestors were not ordinary humans but were endowed with capabilities to explore and make great discoveries. 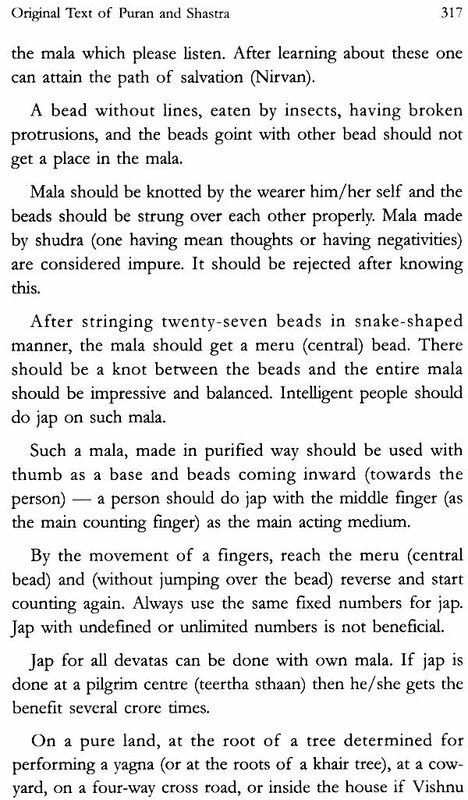 We can only guess the extent of efforts required to discover and assign properties for a bead like rudraksha. In this modern age, with resources of all types, including satellite-assisted mapping and exploration facilities, the question is whether we can invent something basic like rudraksha again? Today, we are trying to find scientific explanation for everything that was acclaimed as a useful product or practice ages ago – be it neem, tamarind, bitter gourd, mustard, the time-tested ayurvedic drugs, or practices like yoga, pranayam, or meditation or rituals like offering water to the rising Sun or blowing of a conch shell. Surprisingly, most of the products this, appreciation of older principles and traditions are now becoming prominent and increasingly followed in this country and other places in the world. It is the emergence of old values supported with scientific facts that is leading people more and more towards spirituality, yoga or ayurveda. The new age gurus and learned orators like Shri Morari Bapuji, Sri Sri Ravishankar, Asaramji Bapu, Ma Chidvilasanand (Muktanand Ashram), ashram chiefs like Swami Satyamitranandji of Bharat Mandir, Haridwar, Swami Chidanand of Parmartha Niketan, Rishikesh, Shri Pranav Pandyaji of Shanti Kunj, Haridwar, Swami Punyanandji Giri of Sanyas Ashram, New Delhi, Swami vishweshwaranand Giri of Sanyas Ashram, Mumbai or for that matter, most members of Hindu religious institutions, sanyasis and astrologers wear rudraksha. Shri Morari Bapu wears a rudraksha mala and does not believe in gems or any other superstitious rituals. The yoga and pranayam teacher and the outspoken Swami Ramdevji is against all superstitions, gems, stones or yantras, but respects the virtues of rudraksha and offers malas as his blessings to his followers. 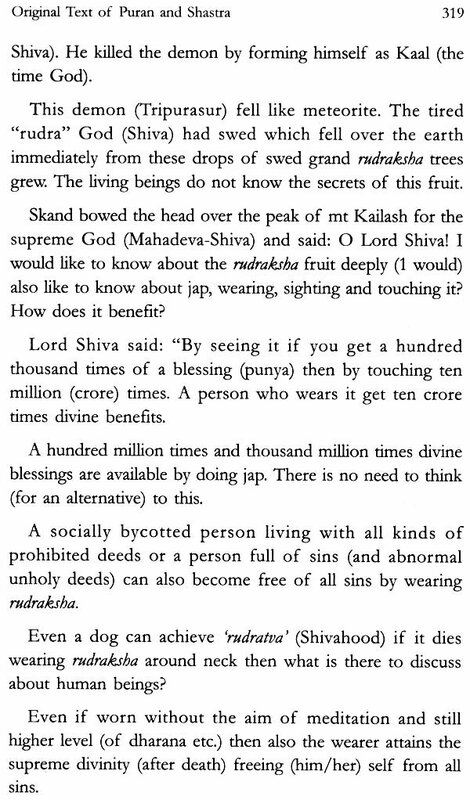 I had the privilege to tell Swami Ramdevji in the year 2005 about the benefits of wearing rudraksha (especially while doing pranayams) and had requested him to initiate some research on rudraksha in his ayurvedic research project at Haridwar. In order to understand the properties of rudraksha, there is need for pool of experts from fields like digital biology, magneto therapy, Kirlian photo imaging, X-ray/CT scanning and botany, along with researchers in pharmacology, medicine and physics. As such, a project of this scope and nature can be undertaken only at a corporate level or by the government. Today, there are efforts to popularize the usage of rudraksha and to remove several misconceptions about it. Institutions like Rudra Life in Mumbai and Rudra Centre in Nagpur/Mumbai organize exhibitions throughout the country and abroad, which have been attracting large crowds. People who attend the exhibitions discuss about rudraksha selection and seek clarifications for their doubts. In their interactions with several thousands of people, the organizers have found that by and large people accept rudraksha as a powerful and divine bead but generally have doubts on availability of genuine beads and on the identification procedure. In fact, many were found to be so obsessed with the efficacy of rudraksha that they were against any scientific exploration or research work to be carried out. They claim the beads are “self proven” and have powers of God and should not be subjected to scientific investigations. 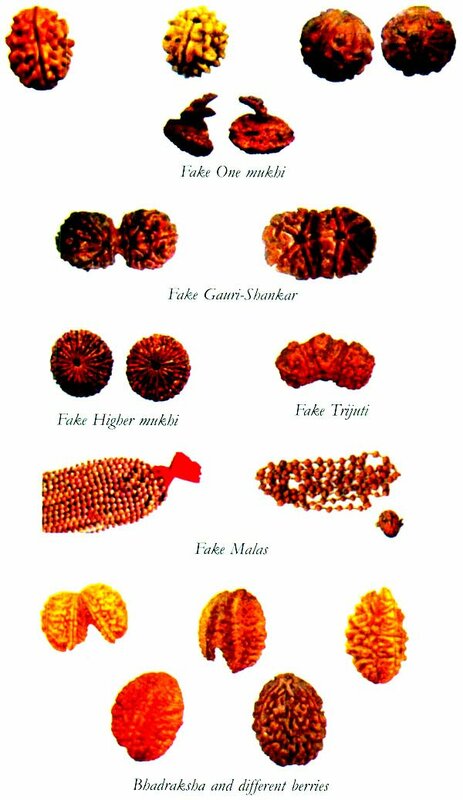 It was in the year 1997 that I felt the need to share my experiences and knowledge about rudraksha with others. I did it in a modest manner through an exhibition at Nagpur, which was appreciated by the visitors. This prompted me to take it on a wider scale all over the country and also overseas. Besides India we have held exhibitions in Malaysia and Singapore and had the opportunity to interact with thousands of people about their experiences of using rudraksha. I must say that people wearing rudraksha get positive results either for their health-related issues or for aspirations like prospering in life, getting married or for removing negativities. I believe the good results have not been properly monitored or documented. Rudra Life, which is located at Mumbai, started conducting scientific studies in association with recognized laboratories to understand more about rudraksha, its structure, physical and medicinal properties. In the meantime, I felt it necessary to summarize and present the status of the work carried out so far in the form of a book so that it can be taken up from here by people from different vocations and areas of study. I hope this book will give the preliminary information about rudraksha and the areas where further work is needed. Rudraksha is for self-empowerment and for bringing about positive changes from within. It has been generally found that people suffering from hypertension, diabetes, cardiac problems, stomach disorders, stress, arthritis and fear get beneficial results by wearing rudraksha. Even disorders like asthma, insomnia and hypertension get cured or controlled by wearing rudraksha alone in some cases and along with fundamental natural therapies or herbal treatments in other cases. Such therapies can be yoga, pranayam, sun therapy and use of ayurvedic herbal products. However, more work needs to be done in this respect. A new beginning is to be made by conducting basic research in all seriousness so that the full potential of this wonder bead can be exploited. I have no doubt that rudraksha can help to make the world disease, stress, and fear-free. It can easily become the low-cost treatment as well as preventive therapy for various physical and mental disorders. However, I see a long journey between these beliefs and reality. I welcome suggestions from readers to improve the contents and presentation of the book. Rudraksha is an ancient bead known for its divinity, positive results on human mind and for good health. The subject is diverse and complex due to variety of opinions and different descriptions available in ancient epics as well as in some recent books. The Rudraksha is greatly respected and revered as lord Shiva’s tears-the wearing of which will end sorrows and heal ailments. Kamal Narayan Seetha is a Chemical Engineer, a highly acclaimed technocrat in the polymer & petrochemical field, an industrialist and an entrepreneur. He has researched the spiritual and curative properties of the Rudraksha for decades, and is an authority on the wonder bead and continues to popularize the bead through his organization Rudra Life. Currently he is setting up a holistic centre involving Rudraksha therapy, yoga, spiritual learning and meditation at Mumbai.